Kashif Hameed '99 recently took 10 of his students from Promise Academy Charter School to Ghana for a volunteer educational experience and cultural exchange. Hameed is currently the principal of Promise Academy Middle School located in Harlem, New York. 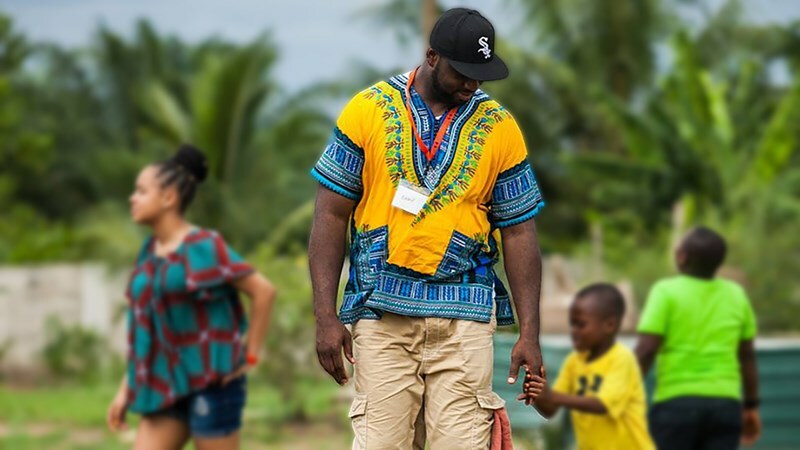 In association with Harlem Children's Zone, Hameed began communicating with Project Nyame NSA, a nonprofit organization dedicated to helping orphans and highly vulnerable children in Ghana and Zambia in 2017. Hameed and the project's founder Devon Leondis discussed how the American students could benefit from making a difference in Africa. Early this May, Promise Academy embarked on its first trip to Ghana and volunteered time at the Village of Hope.